Manchester City star and Argentina international Carlos Tevez was arrested for "driving while disqualified," which is British for driving with a suspended license. In January, Tevez was banned from driving for six months, a punishment for two speeding incidents in his Hummer last year. Last night, he was pulled over in a Porsche Cayenne and booked at a local police station, before being released on bail. 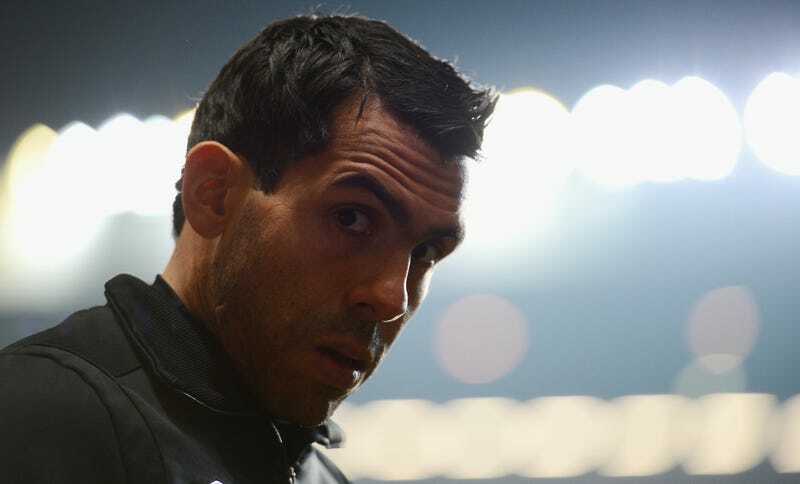 The first offence for which Tevez pleaded guilty for took place in Morecambe, Lancashire, on March 28 – the night he played for City's reserves against Morecambe Reserves. The court heard the car was clocked doing 39mph in a 30mph zone and Tevez failed to respond to letters sent to him by police on April 3 and May 4. The second incident took place on May 8 when the car was seen at 66mph in a 50mph zone in Crewe, Cheshire, and he again failed to respond to letters from the police about it. Doing 39 in a 30 and 66 in a 50—we hate to say it, but that's not that bad. Here in the States, the last two athlete speeders who come to mind were both drunk and doing 110-plus. But then, it's not Tevez's speeding that officially did him in, but his refusal to pay tickets or cooperate with police. The court was told that he did not acknowledge the notices because he did not recognise the word ‘constabulary'. His solicitor Gwyn Lewis told the hearing: "He does understand the word ‘police', but not more complicated words. Tevez could face up to six months in prison, but driving while disqualified offenders are often sentenced to community service, as are professional athletes.